–> One guy says he can see his girlfriend getting dressed, and she lives 10 miles away! The Launching of my new Master Class– THE MIND FORCE QUANTUM QIGONG SEQUENCE starts this week, and if you want in, I can promise you it will be very limited, so pay attention to your email. CHI MANIPULATION IS NOT ACCIDENTAL! Someone wrote me the other day and asked if true Chi Manipulation is a natural phenomenon? Actually, it is…And I’m going to explain a little more about the psychic side to this tomorrow, so stay tuned. Anyhow, we all have different levels of Mind Force and Qi Power in our minds and bodies already. It’s just a matter of re-opening the pathways to create better chi flow throughout the body. THIS IS EXACTLY WHAT YOU’VE BEEN LOOKING FOR! You see, when it comes to Qi Techniques, there are thousands of different combinations of techniques and I wish I could teach them all, but come on who can do that? What I will teach you is the Phase I techniques, concepts and methods so you can combine them into your own sequences of techniques and exercises specifically for your body, age, gender, and goals. Like taking your chi that is the size of a pea and enlarging it to the size of baseball, or football or an ever expanding balloon or– You name it, because you build the chi. I know You’ve never heard of the “CHI MAGNIFICATION” technique, because I’ve taught it to less than 10 people, and now I’m looking to open it up to those who qualify for THE SEQUENCE MASTER CLASS! Frankly, I’m getting a little worried because I think some of these methods are a little too powerful to teach in a Phase I class, but this would be considered advanced anywhere else. IT’S LIKE HAVING A NUCLEAR BOMB. Very bad news if it gets into the wrong hands. And that’s why I’m always so hush-hush about it. This means no matter where you look or how hard you look, you won’t find these methods anywhere..
And speaking of these So-Called Chi Kung Masters, within a year or two, your chi will be more highly developed than 90% of the instructors out there. …But I won’t be sharing it with my entire email list. I may decide to do so at a later time, but for now, I’m going to let just a handful of people get a glimpse of it. In the next day or so, I’m going to interview some of the guys who actually know these INNER CIRCLE methods and let them tell you …in their own words …what it’s all about. If you get an email from me that says “PERSONAL INVITATION” in the subject, then you’re invited. You’ll get the details of the interview then. P.S. Be on the lookout for the invite in the next day or so. are calling and emailing me about it. 2. There are now 36,259 people on this email list. You’ll know it’s a little smaller than the other day. I removed a couple of people who I found out where leaking stuff to the public (those not on this list) Anyway – I can’t let 36,259 people in on this.It would DEFINITELY get “leaked”. So … be on the lookout in the next day or so. If you get an email from me … OPEN IT. **Double-check your email for accuracy to ensure you receive all the FREE training. Privacy Assured: Your email address is never shared with anyone. 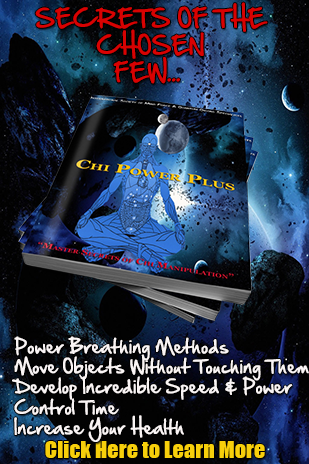 Chi Power Secrets is dedicated to bringing you cutting edge information and training in all types of esoteric training, including but not limited to Chi Power, Qigong, Meditation, Psychic Energy Skills, Hypnotic Influence, Covert Persuasion, Abundance Training and more. Sifu Al Perhacs is the author, creator and visionary behind these various methods and curriculum's. With over 20 years of experience, Sifu Perhacs is a recognized expert in these areas of study.